Managing the budget is the single largest function of this division. In addition to preparing all accounts receivable and payable, this division also handles a bi-weekly payroll schedule for the entire agency. Funds allocated by the county commission, along with special revenue and grant funding, are all monitored and accounted for through an annual audit session. The Financial Services division also oversees the Purchasing Unit which maintains ample law enforcement supplies for the troops, and the Inventory and Property Unit conducts an annual inventory of issued equipment. The Human Resources and Employee Benefits Division is responsible for planning, developing, and administering a comprehensive personnel program which includes such programs as recruitment, selection, classification, job pay evaluation, performance appraisal, affirmative action, organizational development, and disciplinary actions. This division also is responsible for advising the Sheriff and division commanders regarding federal, state, and local laws, ordinances, rules, and regulations applicable to personnel administration. Human Resources develops, administers, and maintains standardized personnel policies and procedures; establishes and maintains all personnel records; and selects, develops, and administers all employee benefit programs including health, dental, life, and retirement. Social and community functions are also administered under the direction of the human resource personnel in conjunction with the employee activity fund. The Community Relations and Records Office is responsible for all written and electronic communications for the Citrus County Sheriff’s Office, which includes our Records Department and Transcription. This office educates the public referencing all Sheriff’s Office programs and services; communicates details referencing crimes and other incidents; handles all media inquiries; releases public records in compliance with the Florida Public Records Law; coordinates community events for the agency; assigns speakers for community presentations; schedules and conducts news conferences; coordinates the agency’s emergency communications; and handles other special projects as directed by the Sheriff or his command staff. The office utilizes a variety of methods to communicate with the public, including social media. The Information Technology Division supports the information technology needs for every division in the Sheriff’s Office. This division is responsible for every aspect of computer use within the agency from the purchase and installation of software for an employee's desktop system to the development and implementation of the complex systems behind the scenes. The Information Technology Division impacts virtually every part of the Sheriff's Office and is vital to the day to day operation of the agency. 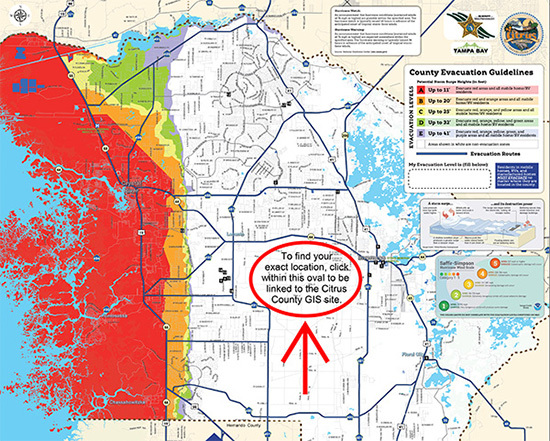 The Information Technology Division supports hundreds of computers in several locations throughout Citrus County. Critical applications include Records Management, Criminal Intelligence and Analysis, Mapping (GIS), Payroll and Human Resources. The Information Technology Division plays an integral role in support of the Sheriff's Office by identifying opportunities for the agency to improve its effectiveness and productivity through the strategic use of technology. This division provides the computing to support hundreds of desktop and mobile clients. 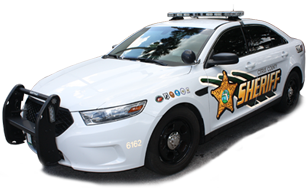 The Citrus County Sheriff's Office is dedicated to providing the latest cutting edge technologies to increase employee productivity which in turn increases our ability to provide services for the public. 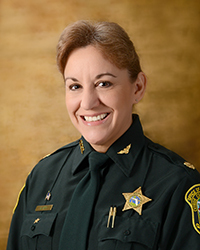 The Sheriff is aware of today's needs for technological improvements and has tasked the Information Technology Division with researching, evaluating, and making formal recommendations in reference to future technological advancements. This division is committed to providing the best recommendations to continue moving forward as technology continually progresses.